The next GOP debate puts the economy front and center as the primary topic of discussion. Come Wednesday, the CNBC hosted event will put candidates' fiscal plans and economic savvy to the test as a way to better inform voters and add some clarity to a still incredibly overcrowded Republican field. One of the more surprising fiscal policies out there happens to come from a candidate stuck in the world of pre-debate forums rather than prime-time debates. Louisiana Gov. Bobby Jindal has a rather extreme way of viewing balancing the budget as well as tax cuts. To get a better indication of its efficacy, it's best to go to the source. How Louisiana feels about Jindal's economic policy says a lot about the candidate. Despite explicitly stating that he's in favor of a constitutional amendment that would force the country to balance its budget, Jindal hasn't practiced what he preaches in the least bit and is facing a deficit of almost $2 billion in the state of Louisiana. The last budget cycle saw Louisiana's finances in shambles. Jindal practices an almost rabid adherence to the budgeting policies of Grover Norquist and has repeatedly refused to raise taxes, instead choosing to slash funding to important education and healthcare programs. We can't afford the cuts to continue. Not if we want to remain competitive in the national marketplace. Not if we want our degrees to matter ... The politicians who take office in January will be the deciding factors of whether LSU can fix the ceiling tiles in Atkinson Hall and hire another professor so you aren't just one student among 1,000. Louisiana is seeking a new governor, and predictably Jindal has no interest in that race whatsoever. He's reached his term limit and simply can't be bothered, it seems. What's truly damning when it comes to how the state sees the current governor's fiscal acumen is how candidates are structuring their own economic plans. Democratic candidate John Bel Edwards and Republican David Vitter are set to face each other in a runoff election that will decide who will govern Louisiana. Both have distanced themselves from Jindal. He [Jindal] has not been honest with the people of Louisiana in terms of his own budgeting. He talks about the budget in ways that are just demonstrably false. I do talk often about it being time for honest leadership. And that's absolutely a reference to Bobby Jindal. Even within Jindal's own party he's found strife. Vitter, a prominent Republican who's contentious in his own right due to a previous prostitution scandal, simply can't stand what Jindal stands for economically. Vitter has chided Jindal for not utilizing more tax incentives, thereby raising taxes themselves. 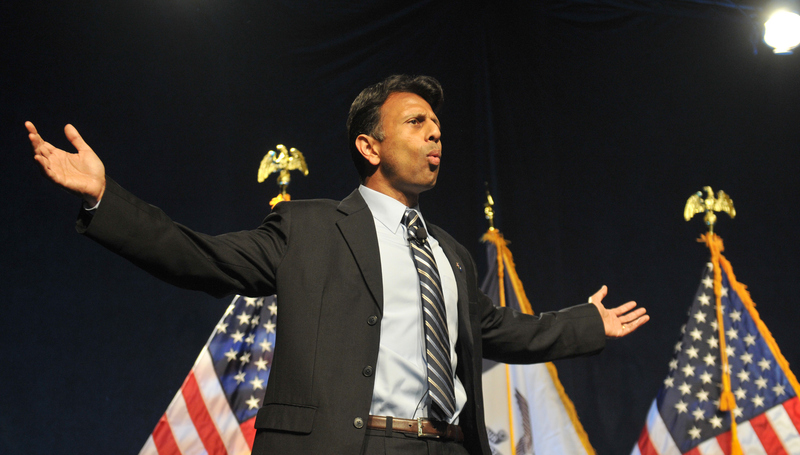 Other candidates have similarly bashed Jindal. Despite the fact that Vitter and the outgoing governor have been feuding for years, it appears that simply being aligned with the same party is threatening to bring the gubernatorial hopeful down completely. Louisianians can send a clear message during the Nov. 21 runoff that not only are they tired of Jindal ruining the finances of the state, but they're tired of the entire Republican party. Only then can the state hope to regain better financial footing rather than bow to the political aspirations of a governor only posturing as he sets his sights on the White House.